Looking to hop on a tour where you’ll meet new people and share a new experience while drinking fantastic craft beer and munching on some good eats? Try our *NEW* Tuesday Night Beer and Food Tour! A great option for visitors to Vancouver, couples, friends or just thirsty you! Open to the public, they fill up on a first come first serve basis. (We do require a minimum of 3 beer lovers on tour for the tour to run). While on tour, you’ll be visiting 3 breweries with a dinner in about 4 hours and get behind the scenes brewery tours. $85pp plus tax includes your tour, food and craft beer samples – lots of them! Our tours conveniently depart from and return to Waterfront Station downtown. We’ll be visiting Brassneck Brewery first, next up Big Rock Urban Eatery & Brewery for tasters and a two course dinner (vegetarian option available) and then finishing up at Strange Fellows Brewing. Brewery staff and our guides will introduce you to the brewing process where you’ll get to see how your favourite craft beers are made. Each brewery will show you something different and unique while you learn about their history and operations. No line-ups here! The brewery staff will be expecting you and will have plenty of craft beer samples for you to sip during your visit (and for this reason we highly recommend that you leave your car at home and take advantage of transit). Questions on tour are welcome and encouraged. Between each brewery, you’ll be on the road with our guides who will share fun facts about the Vancouver beer scene, and also about the iconic neighbourhoods you’ll be visiting. To book yourself on a tour, head over to our “Book a Tour” page and select the date you’d like. Running Tuesdays starting June 9th. 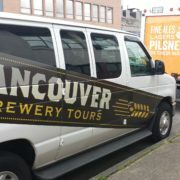 Vancouver Brewery Tours is Hiring a Driver! Do you love beer? How would you like to provide transportation for others who also love beer? If you answered yes, we want to hear from you! 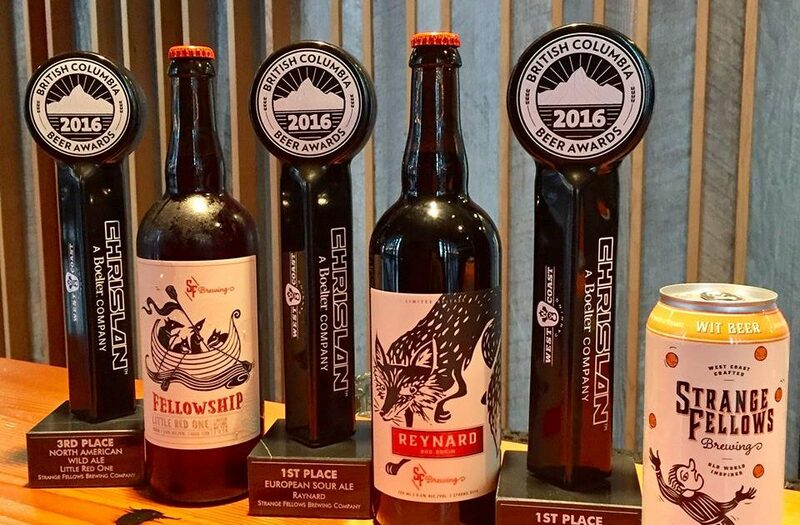 Vancouver Brewery Tours is Vancouver’s ultimate craft beer brewery tour company and connects thirsty locals and tourists with the best craft breweries in Vancouver. We’ve introduced thousands of people from all over the world to our local breweries and take guests on a craft beer fueled adventure that includes behind the scenes tours and plenty of samples of beer! We are seeking individuals who currently hold a valid class 4 license for on call transportation opportunities. We require no experience in beer for these opportunities as this is not a tour guide position. We are seeking someone to provide transportation only for the numerous driving requests we receive. Shifts can be anywhere between 3-6 hours long, weekly or bi weekly. Salary is commensurate with experience. Comfortable driving a 15 passenger van full of beer enthusiasts! 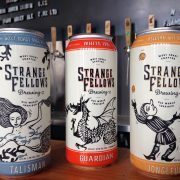 Here at Vancouver Brewery Tours we like to keep our growlers filled with local suds and there is definitely enough to go around, and of the quirkier Vancouver breweries serving those suds is Strange Fellows. 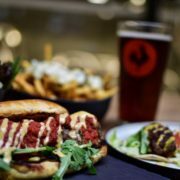 Combined with their industrial East Van location on Clark Dr and unique brand appeal, their Strange Days event series showcases the more adventurous side of the Vancouver beer scene. The first time I heard about Strange Days was in the dead of winter when the brewery encouraged customers to arrive in kilts while they served milk stout and Scottish eats to celebrate ‘Up Helly Aa’, a Shetland tradition. It definitely sounded strange, but given the brewery’s name, the event showed that breweries like to have fun too! The April 30th Strange Days event was ‘Walpurgisnacht’, a German tradition of figuratively burning your sins, evils, and fears through an effigy. The Fellows happily adapted the event by asking customers to write down their bad feelings and even had free psychic readings available. After perfecting his sour beer at Yaletown Brewing, it came as no surprise when Strange Fellows Brewmaster Iain Hill announced he would be aging his trademark sour in wooden cask barrels right after the brewery began operations. You can also find a hint of funk in a number of their other beers like mainstays Bayard Farmhouse Saison and Jongleur Belgian Style Wit. On this night though, I stuck with the seasonal offerings. Coming in at a refreshingly low ABV of 3% and marking the onset of summer, the Gertrude Grapefruit Radler—brewed specially for the event—was a true West Coast beer with a healthy balance of European flair. As the branch with around fifty confessions hanging from it was prepped for immolation, I enjoyed the Framboise Noir, a mild and fruity Raspberry Hefeweizen. Watching the effigy go up in flames while enjoying a beer was a fitting way to cap off the Winter and I can’t wait to see what the Strange Fellows team has in mind for the next installment of Strange Days.